We know you. The hard-working Homebush resident who loves their family. All the more reason why you need to keep your family and valuables safe. 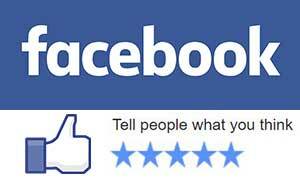 As your Homebush locksmith, we help you do exactly that. Our focus is on safety for all our customers and delivering the best security to suit their place of residence. Whether you live in a brick house or a high rise apartment, we can help you with all your locks and devices. Fusion Locksmiths are happy to come out for a little job like jammed locks or lost keys, all the way up to bigger jobs like new security systems or intercom installations. 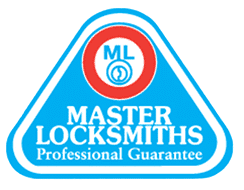 Whatever your need for a locksmith, we provide a no-obligation quote over the phone, so you know exactly what you can get for your budget. With long term partnerships with all major hardware manufacturers, we can recommend the strongest solution for you in your price range. Our training in these products, means we can install just as the manufacturer intended, and we can show you how to use them properly. 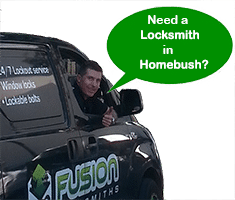 For many years Fusion Locksmiths have provided their services in Homebush providing courteous, efficient service. From keycutting and 24/7 lock out service to installing complete locking systems throughout homes and businesses. Just give us a call and talk to your local Homebush locksmith who can help you with securing your property.